I know the election is only a few days away and you are probably heavily involved, but APC’s efforts are catching fire in county and city governments across the nation and I need your help to fan the flames. Please take a look at this video for all the details. Click HERE to see the page where you can donate. In an exclusive interview with Sunshine State News, Professor Elizabeth Price Foley of Florida International University College of Law condemns what she insists were "misleading" early media stories on a report she authored on three Florida Supreme Court justices up for retention on the November ballot. The report – titled “A Review of the Florida Supreme Court: 2000-2012” and published on behalf of the Federalist Society for Law and Public Policy Studies, the nation's premier fellowship of conservative and libertarian lawyers and law students -- is being hailed by supporters of the justices as some sort of vindication of their record on the bench. Justices Barbara Pariente, R. Fred Lewis, and Peggy Quince are accused by their critics of being left-wing activists who do not rule in accordance with the principles of originalism, the doctrine that judges ought to interpret law according to its original public meaning. Most people know that we’ve been lied to about the attacks in Benghazi, but few realize the extent of those lies or the hidden secrets they cover. After all, the lie is different at every level. Thanks to a well placed source with extensive knowledge about the attack, the disturbing truth is slowly beginning to emerge and is lining up with information contained in my previous articles published here weeks ago (Here, Here and Here). The truth reveals the most serious situation in the world today as it involves the interests and destinies of us all. According to the U.S. government, Ambassador Christopher Stevens and three other Americans were killed during a spontaneous protest at the consulate office in Benghazi by a frenzied crowd of Muslims outraged over an obscure internet video. Recently released “sensitive but not classified e-mails” from Stevens to the U.S. Department of State painted a picture of poor security for U.S. personnel and the embassy, which was obviously truebut had little to do with the events of September 11, 2012. The failure to dispatch an extraction team or otherwise rescue the men during a firefight that lasted upwards of nine grueling and tortuous hours was not the result of any intelligence failure, but caused by our unwillingness to widen the conflict and expose the nature and scale of our true mission in Benghazi. New IG report slams USDOL green jobs training program - How effective was taxpayer $$ spent? WASHINGTON – The Department of Labor’s Office of the Inspector General cast new doubt on the effectiveness of the Administration’s Green Jobs Training Program. According to the newly released report requested by Oversight Committee Chairman Darrell Issa and Oversight Subcommittee Chairman Jim Jordan, the report revealed that the Department of Labor has further squandered taxpayer money since the program was flagged by the IG last year. Watch this video from the opposition movement against the "One Bay Area" plan in California. If it all seems too familiar, think about the Seven50 Plan here in South Florida. Connie Mack came to Memorial Park in Stuart this Sunday with Mayor Rudy Giuliani to speak to the voters of Martin County. Both men spoke of the need to take the Senate so that a real budget can be passed to reduce the deficit and balance the budget. Mack made a point of emphasizing his position that nothing else should advance in the Senate until a budget is passed. The video clip above is part of a 15 minute address (recorded by Richard Nickson of our group). We selected this shorter snip because of Congressman Mack's comment on defunding the United Nations. 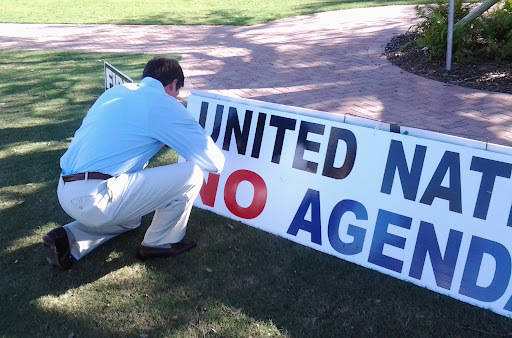 The Congressman then posed in front of our signs against U.N. Agenda 21. 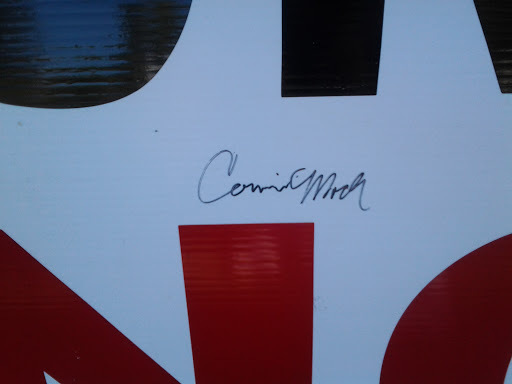 We thanked Congressman Mack for posing with the sign, and he pulled out a marker and bent over to sign the sign (right over the "NO"), as he said, "I'll do this any time!" He was a government trained facilitator. He was not supposed to lose control. But he did. He slammed his briefcase shut and stormed out of the room. By now folks had figured out what he was really up to anyway, so for him, that might have been smart. Oil is the prize. Money, power, control are the tools. The American people are in the way. Agenda 21 is the plan. Agenda 21 is the United Nations plan to inventory and control every aspect of human activity. 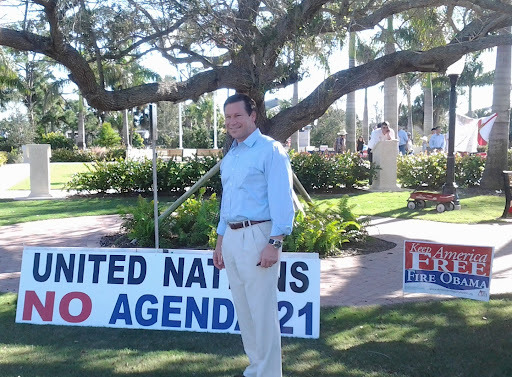 Agenda 21 calls for the elimination of individual rights, private property and national sovereignty. The government will be controlled by the Elite. The United Nations will grant your rights so you will be controlled. Sign this petition to protect our individual rights, private property and national sovereignty. It is modeled after the Alabama Bill which passed and has been used successfully to eliminate the Baldwin Co comprehensive plan in favor of a new plan that will protect private property rights. It was written by Henry Lamb, Don Casey and Ken Freeman. 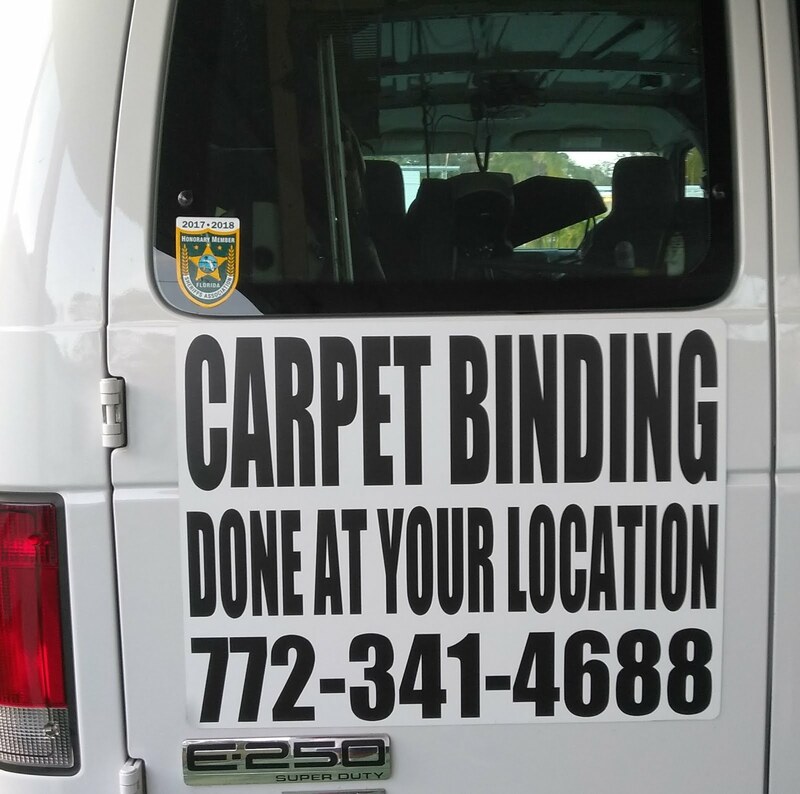 It was edited by our attorney to make sure it was compliant with Florida law. There is a scriptural adage that says that we should avoid “all appearance of evil.” Growing up, I took this to mean that in order to maintain our integrity and good standing, we should avoid any association or activity that could reasonably appear to be evil whether or not it actually was evil. For the record, the title of this piece does not suggest that judges or unions are evil. My suggestion is simply that they may be entangled in a conflict of interest that has a very questionable appearance. Let me explain. In 2011, Florida’s legislature passed a law requiring state employees to contribute three-percent of their salary into their pensions, saving taxpayers $1 billion per year. The unions sued to get this money back. On September 7th the Florida Supreme Court heard arguments. They are currently deliberating whether they should overturn the law and award that billion dollars back to the state employees. Under normal circumstances this is a fiscally important case; but in this election year it’s nuclear. The Justices are running for retention. Until recently their primary supporters were members of the legal community. For the past two years there has been no recognized support for the Justices outside of the legal community. We have learned, however, that they suddenly have a new ally, public sector unions. Recently, the First Fraternal Order of Police and the Florida Professional Fire Fighters associations announced their support of Justices Pariente, Quince and Lewis. Although they’ve adopted anti-political rhetoric, their motive is transparent enough. Why would the leadership of the police and fire unions take the unprecedented step of backing three Supreme Court Justices? Do they have anything to gain by joining their campaigns? I can’t think of anything they’d gain by backing these three Justices except their share of one billion dollars. Think about it: Justices Pariente, Quince and Lewis are deciding whether to direct $1 billion to public employees and unions, some of which are directly supporting their campaigns! Is this evil? That's for you to decide. Does it have the “appearance of evil”? Yes. I’m sure the Justices insist they will make their billion-dollar decision with absolute objectivity and that the unions’ vital role in their re-election will not cross their minds even once. I’m sure the unions will say that they are just looking out for the poor Justices whose $1 million campaign is being threatened by an evil youth pastor on Facebook. Behind all of the rhetoric is a nagging question: is it ethical for a judge to make a ruling in a case when the primary financial beneficiary is also a known supporter of his re-election? From the unions' perspective, is it ethical to suddenly join the campaign of a judge who is about to decide whether you will receive a share of a $1 billion payout? I’ve been accused of compromising the Court’s independence. Ironic, isn’t it? If the Court is to maintain its integrity and avoid the appearance of evil, Justices Pariente, Quince and Lewis should recuse themselves from this decision. That’s the only way they can avoid the charge of abusing their positions and gaining union support by the potential of a favorable ruling. Do the right thing, Justices Pariente, Quince and Lewis. Recuse yourself. At the very least, issue a ruling on this case before the election. Back in the early 90's, I listened to Henry Lamb and Joan Veon on satellite radio telling us about United Nations Agenda 21 and what was coming to America. Now it's here, and it's in every city and county in America. Some towns have citizenry who are aware and active enough to stall or destroy the efforts of local planners and Smart Growth. Other areas, despite large populations, have few who are willing to protect and fight for their property rights. In Knoxville, TN, few citizens go to city and county commission meetings and/or to local groups or meetings to fight Agenda 21 and Smart Growth. Our county population is nearly 500,000, yet at the latest county commission meeting, there were less than a dozen knowledgeable people who attended this extremely important meeting. (We'll discuss this in part 2.) Our enemies are winning because of the apathy of our citizenry, and the work load is killing those of us who do all the fighting. Let me tell you about the area where I've lived for the last 25 years. Midwest flatland doesn't exist in East Tennessee. It is a very hilly, beautiful area surrounded by the Smoky Mountains, lush with forests, lakes, rivers, and hiking trails. *We are not in full agreement with some portions of these analyses. These candidates may not be on your ballot. Following the example of attorney KrissAnne Hall, the Martin 9/12 TeaParty Committee eschews the overuse of the state constitution. Approval of Amendment #1 may do little more than urge resistance to federal overreach, but that is a worthwhile statement. A similar statement against the activist Supreme Court may be made with Amendment #5. *Following the example of attorney KrissAnne Hall, the Martin 9/12 TeaParty Committee eschews the overuse of the state constitution. Approval of Amendment #1 may do little more than urge resistance to federal overreach, but that is a worthwhile statement. A similar statement against the activist Supreme Court may be made with Amendment #5. Many of the RPOF recommendations may be chalked up to vote seeking instead of sound legal reasoning. The American Civil Liberties Union, calls the law a “catastrophic blow to civil liberties”. Obama lied to the public and said he would veto the NDAA’s indefinite detention clauses. Instead, he surreptitiously signed the NDAA into law on Dec. 31, 2011 while most Americans were distracted celebrating New Years Eve. Both Romney and Obama have publicly stated their support for the new law. You do need to worry. Discover The Networks has identified Catholics For Obama (CFO) as one of the leftist organizations that has recently appeared to advance the Marxist agenda in the United States. Read their assessment here. This is a copy of the broadcast from October 7, 2012. The quality is not perfect, but the message is well worth the viewing. Many people will be surprised to hear that the demise of the United States is a goal of the Progressive movement. 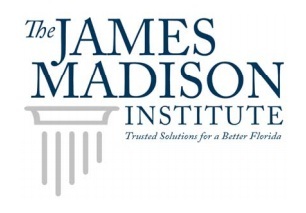 TALLAHASSEE, Fla. – As a service to Florida voters, The James Madison Institute (JMI) released a special edition of The Journal of The James Madison Institute that introduces and analyzes the 11 constitutional amendments on the 2012 ballot sent to voters by the Florida Legislature. For each amendment, The Journal Special Edition 2012 Voters’ Guide includes the specific language used on the ballot, a breakdown of each amendment and a pro/con analysis. Out of the 11 amendments, JMI policy staff provided recommendations on six including Amendments 1, 2, 3, 5, 8 and 10. Additionally, The Journal Special Edition includes an article on the merit retention vote on three justices of the Florida Supreme Court written by Capitol Vanguard reporter Will Patrick. As outlined in the state Constitution, merit retention is a process whereby voters periodically evaluate the state’s appeals court judges, who are initially appointed by the Governor, during general elections. The full version of The Journal Special Edition 2012 Voters’ Guide can be accessed at http://bit.ly/PcDi5u. Valerie Wickboldt at 850.386.3131 x 628 or vwickboldt@jamesmadison.org. Find the Florida Voter Guides HERE. On the face of it, these words appear as if they were lifted from any report over the past year characterizing the discord over American and Israeli efforts to halt Iran’s nuclear program. But in fact they were spoken forty-five years ago by Israeli foreign minister Abba Eban on the eve of the Six Day War. Eban had just returned to Jerusalem from Washington, where he was anxiously pressing the Lyndon Johnson administration to provide U.S. guarantees for Israel’s security in the event that Egypt attacked. Previously confident that America would have Israel’s back in the event of renewed warfare, Eban was now despondent at the likelihood that Israel would be forced to face the combined Arab armies alone, again. During the overnight Senate session that resulted in the passage of a “de facto declaration of war” on Iran and a stopgap bill that funded the federal government through March, Senate Majority Leader Harry Reid (D-Nev.) tried to push through a vote on next year’s National Defense Authorization Act (NDAA), as well. An article published online by Government Executive magazine reports that at about 1:40 a.m. Saturday, September 22, Reid worked the floor trying to get support for the latest renewal of the controversial defense funding measure before his colleagues abandoned the Capitol for their home states. "I've been asked on a number of occasions by Senator [Carl] Levin, Senator [John] McCain what we're going to do on ... the Defense Authorization bill. I ask unanimous consent that at a time to be determined by me, after consultation with the Republican leader, the Senate proceed to ... the Defense authorization bill," Reid said, according to the Government Executive story. As the epistemological failures of Climate Science become as large and as heavily burdensome as the Texas-sized growth of Antarctic Sea-Ice since 1979, the shrill histrionics of the Climate Scientologists who continue pushing for carbon regulation grow tinnier. Be very afraid, grants, oops, I mean lives hang in the balance. If you fail to take action, you will die. It’s almost as if you had an alternative to eventually dying anyway. Now listen carefully, class. The smart guy with the Piled-Higher-and-Deeper is here to condescend to the little guy. His name is Doctor Paul Ehrlich, and he’ll tell you how to vote this election so you don’t have to turn off the idiot box and ponder these things. His sage advice follows below. #politics. Vote for only dems — some of them bad, but if environmental collapse is to be avoided, Obama will need help from Congress. #politics. My political views are only directed at those of you who want your grandkids to have a chance. You see, !Climate Change! could cause 100 Million deaths by 2030. You are all really going to die. This time, the experts aren’t kidding. Malthus, he may have been an over-brimming sack of fertilizer. 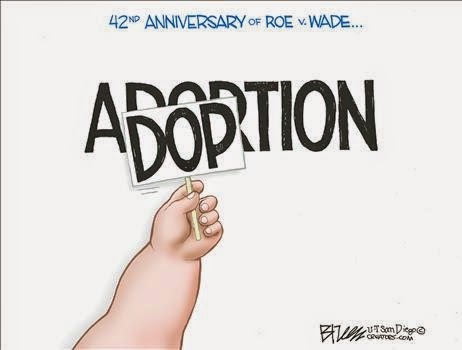 Sanger may have just been pimping out her abortuaries. Ehrlich, himself may have been holding a dud with The Population Bomb. In case you are one of those who doubt that our local government is promoting the United Nation’s Agenda 21 by way of unelected panels of people serving on “regional planning commissions” — groups who are pushing for the implementation of programs like “Plan NH”, “Sustainable Communities Initiatives”, and “Granite State Future”, programs that just seemed to pop up out of nowhere and have funding from the EPA/HUD/DOT, here’s proof. It's October. We're coming down the home stretch. Today we are releasing a video advertisement highlighting an egregious decision in which Justices Pariente, Quince and Lewis threw out the conviction of a confessed murderer. Please share this video. Almost 9 out of 10 people have never heard the names of these Justices, much less this injustice. Floridians deserve to know. 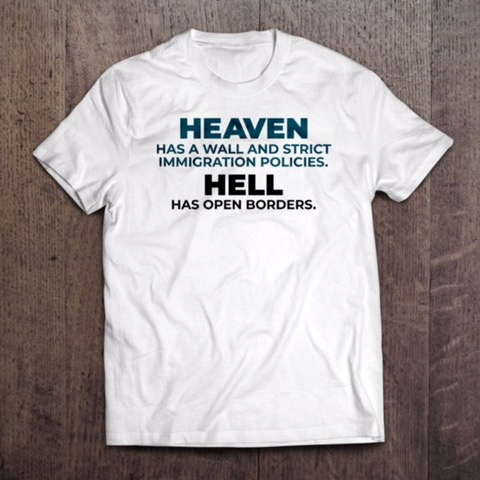 If you can chip in $10, $25 or $50 we will continue to spread the word. Your support is helping us reach hundreds of thousands of voters state wide. PS - Thanks to your help, we were able to raise the money to print 100,000 of our score cards, many of which are being mailed out today.